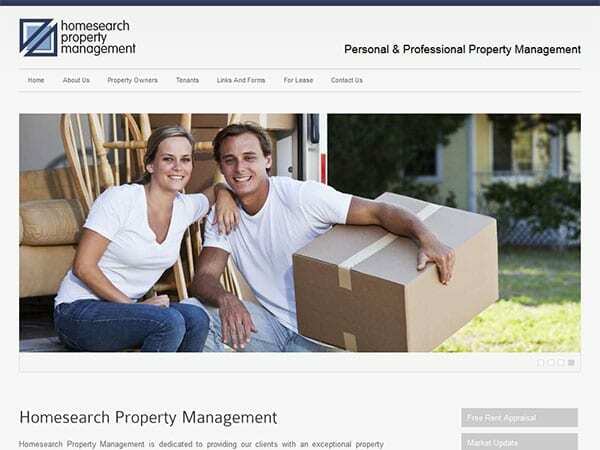 Slick new design and content management system developed for Homesearch Solutions. 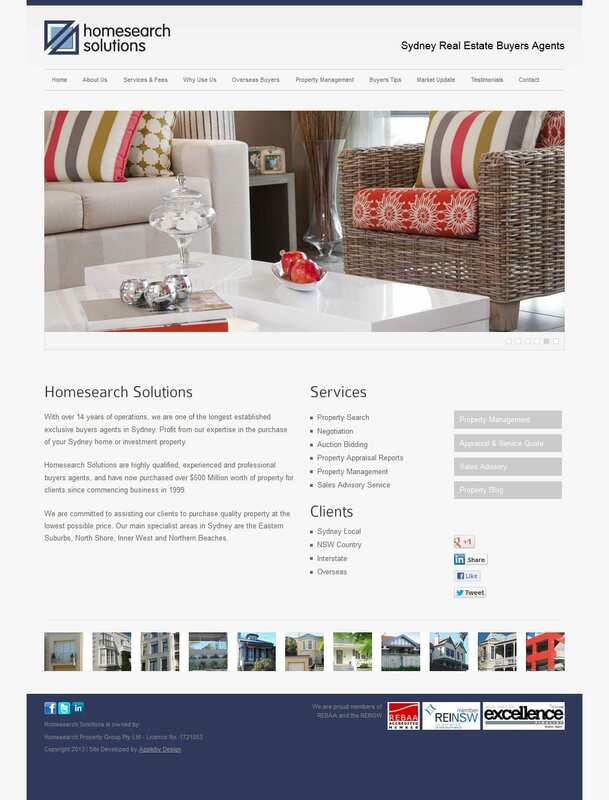 Having designed the original website years ago it was great to bring this websites technology and design up-to-date. Best practices for web development have changed a great deal over the last few years. The website incorporates all the SEO meta data required and now that it is easy for Homesearch to update themselves they will gain the SEO benefit of having fresh content. Usage is tracked with Google Analytics and the site is hosted by Australian based servers.